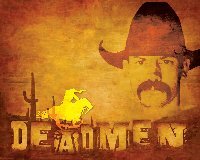 Upcoming Western web series “Dead Men” a Saddlecreek Films Production filmed at Gammons Gulch and features local actors. 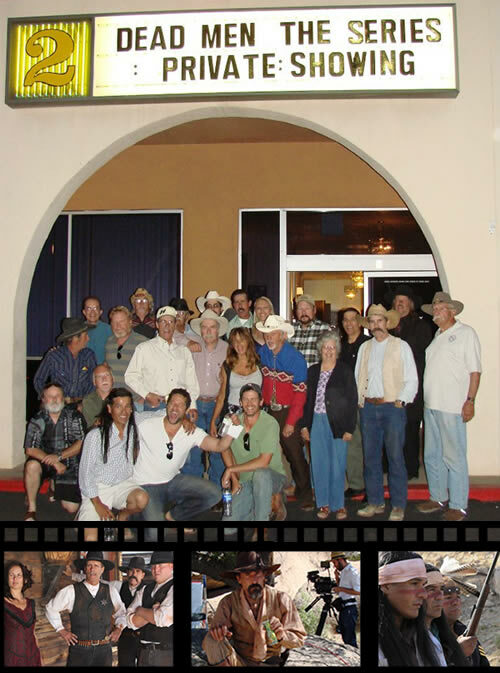 Special cast & crew screening in Arizona at the Uptown 3 Theatre in Sierra Vista on Tuesday, April 23, 2013. This project is planned for 5 seasons and will be coming back to the Gulch. Season 1 filmed last summer at 7 different locations, all in southern Arizona. Only 3 of the 16+ filming days were outside Cochise County. 90% of the production budget was spent in Arizona, for such things as cast & crew pay, location fees, script printing, camera & lighting equipment rentals, food service, hotels, wardrobe, and firearms. Dead Men The Series airing in October 2013!